Image courtesy of Stockimages at FreeDigitalPhotos.net. Back in the day when I was in grade school (we ‘re talking about the 80’s) kids didn’t carry or use backpacks. It wasn’t the norm as it is today and so it didn’t pose a common risk to the backs and spines of school-aged children. The most we carried to school was a lunch box and one or two books. Today, I see children with backpacks that are filled to the max and super heavy for their petite body size. Avoid choosing a backpack for the fashionable look. Backpacks are needed for their functionality and not for their looks. Choose a good backpack for your child that has evenly distributed compartments, a padded back side and padded shoulder straps. The backpack size should be proportional to your child body size. A common mistake I see is that the child is carrying a backpack that is too big for them. The danger is that the backpack gets overloaded and heavy. The weight of the backpack should be 10% of the child body weight. So, an 60 lb child should be carrying a backpack that is 6 lbs. A 60 lb child should NOT be carrying a backpack that is 15 lbs for example. To an adult that may not seem too heavy, but it represents 25% of the child’s body weight (in this example). Imagine an adult with a body weight of 180 lbs carrying a weight on their back that is 25% of their body weight. That equals 45 lbs of weight. I don’t think you would find that appealing nor comforting. The same goes for a child. 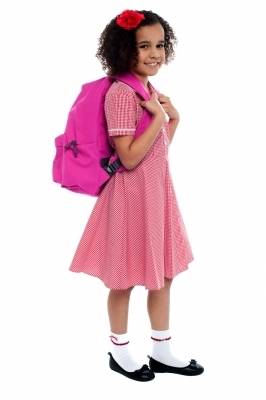 In fact, a heavy backpack places a tremendous amount of load on the child’s spine which can lead to strains. All heavy books (like text books) should be stored in the backside of the backpack, closest to the child’s back. Lighter books and items should be stored in the front of the backpack. This allows the heavier items to be closer to the child’s center of mass when standing and walking thereby minimizing strain on their back and neck. Use the side pockets and compartments evenly. These compartments should be used to store smaller items like water bottles, pencil cases etc. Teach your child to wear BOTH shoulder straps. This gets the weight of the backpack evenly distributed throughout the child’s body and prevents overloading to one side of the shoulder. The backpack should never hang low on the child’s back. This will cause slouching and a poor posture to develop. Show your child how to tighten the backpack so it rests right up on the child’s back by tugging on the pull straps located on the shoulder straps. Leave non-essential items at home, like handheld gaming devices etc. Items that are not essential for schooling needs will increase the weight and bulkiness of the backpack. Binders add more bulk to the backpack. Minimize the number of binders used and consolidate homework sheets into one smaller folder or binder. Lunches can add weight and bulk to the backpack. Consider a light reusable lunch bag and have the child carry it by hand to avoid added load to the back. Parents, by following these 10 backpack safety tips, you can help minimized the weight and load of the child’s backpack and prevent strain and poor posture from developing. Dr. Walter Salubro is a family wellness chiropractor who has been serving the Maple and Vaughan community for over 13 years. Dr. Salubro offers an extensive line-up of health and wellness workshops, exercise classes and a run-walk club to his patients. Dr. Salubro is a fitness enthusiast and an avid runner, having completed four half-marathons, a 30k road race and three marathons. Whether it is in his day-to-day interactions with his patients or through one of his health classes, Dr. Salubro motivates people to be the best they can be, the healthiest they can be and the happiest they can be so they can fulfill the life of their vision and dreams. Dr. Walter Salubro is dedicated to providing the highest quality chiropractic care for all of his patients. 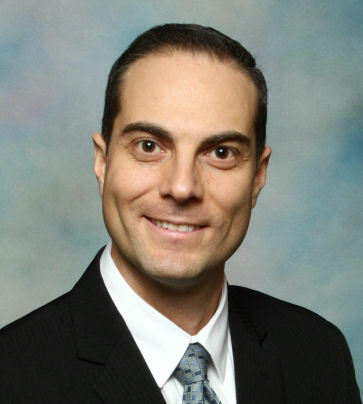 He is a 1999 graduate of the National College of Chiropractic and certified from the Academy of Chiropractic Family Practice and the Council on Chiropractic Pediatrics (C.A.C.C.P.). Dr. Walter Salubro is Webster Technique Certified, certified and recognized by the International Chiropractic Pediatric Association. Dr. Salubro caters to the specialized care of infants and pregnant mothers. This entry was posted on Friday, August 22nd, 2014 at 4:55 pm	and is filed under Chiropractic & Children.